Indiana Gov. Eric Holcomb at a ceremonial event today signed Senate Enrolled Act 478, the Facilitating Internet Broadband Rural Expansion (FIBRE) Act. 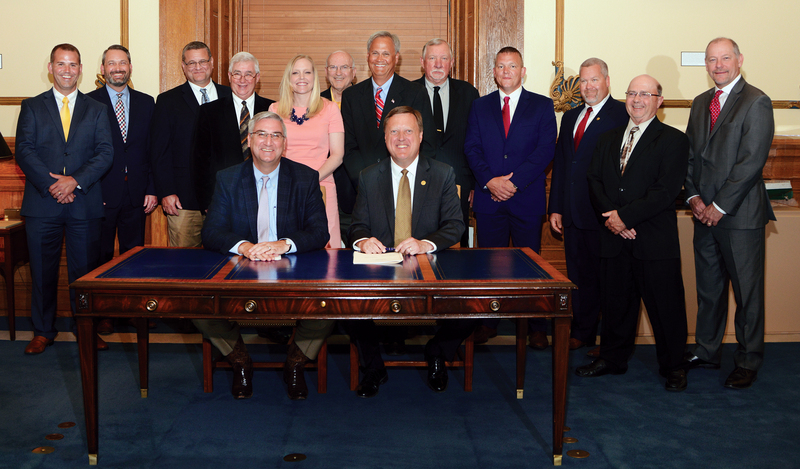 The legislation allows Indiana’s electric cooperatives to use existing overhead utility easements to extend fiber line for the purpose of delivering broadband service. “Internet access has become essential to the American way of life. Similar to 80 years ago when most rural Hoosiers lived without electricity, much of rural Indiana still lacks quality internet options,” said Tom VanParis, CEO of Indiana Electric Cooperatives. The legislation removes a barrier hindering the availability of the service and allows electric cooperatives to closely examine the feasibility meeting their member-owners’ internet needs with existing infrastructure. Indiana’s electric cooperatives are dedicated to the communities they serve and their mission to provide safe, reliable and affordable electricity.